You see a map that demonstrates territory of Russia. actual map of Zernovoy for Garmin. interesting map of Yeremeyevka 1 cm to 1 km presented. 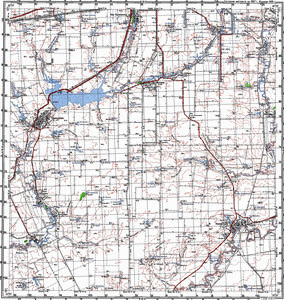 free map of Yagodinka 1 cm to 1 km presented. free map of Verkhniy Uzen' calibrated free download. map of Vasil'yevka with gps calibration presented. map of Perekopnoye with gps calibration for Garmin. detailed map of Novorepnoye и OziExplorer calibration for Garmin. detailed map of Novaya Slobodka this. free map of Novaya Krasnyanka и OziExplorer calibration for gps. detailed map of Mokhovoye with gps calibration download for free. free map of Mikhaylovka presented. actual map of Mavrinka with gps calibration for gps. detailed map of Lipperstal' calibrated for gps. detailed map of Gannovka calibrated here. interesting map of Belen'kiy with gps calibration for gps. interesting map of Aleksandriya with gps calibration for you. topographic map of Sokornaya Balka calibrated this.